Is your message a bit boring? 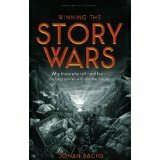 Struggling with your story? Try one of these fast, quick reads to get you back on track. 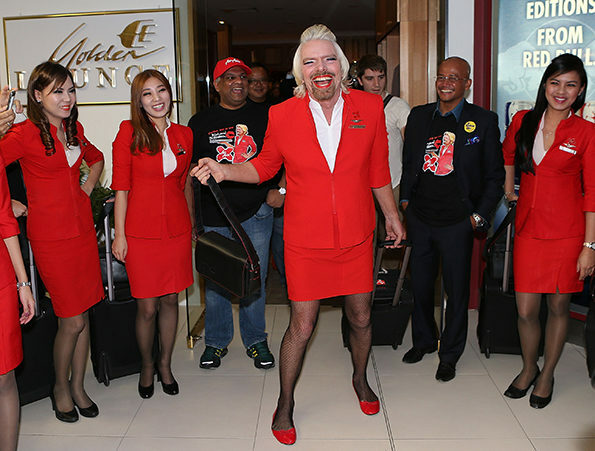 Let’s face it, outrageous message strategy–the kind Sir Richard Branson makes famous–isn’t as off the cuff as it seems. It’s art. Purple Cow. Seth’s book is a gold standard in what it takes to create a remarkable message for companies and brands. It’s a fun, fast read and will change how you see the world. Suddenly, you’ll realize most message are snoozers and you actually are attracted to different–in fact, that’s all you really notice. 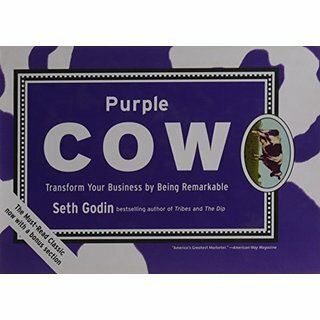 His book tells you how to get that for your company. Made to Stick. It’s more than a message, of course, that you need. If you’re marketing or doing public relations, you’ll have to create a host of messages. You want all of them to resonate. 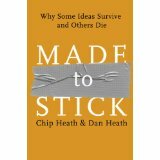 Made to Stick, by Chip and Dan Heath, reveals the art and science behind messages that become urban legends. It’s a practical book with tons of terrific stories about how to make your own urban legend. St ory Wars. This book from a seasoned, solid brand marketer helps you define the type of hero your company is, and then use that voice to articulate your messages. It’s fun, particularly if you’re a Joseph Campbell Hero With a Thousand Faces or have secret British lit side. Can We Do That? 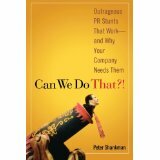 This book by PR legend Peter Shankman, the founder of HARO, is the bible for PR stunts. It will get you thinking about how to show what you mean to do, instead of “tell.” It’s also really funny–you’ll laugh along with Peter as he relates how his agency, back in the day, tried to create big buzz out of bare bones budgets. Contact our team at Write2Market to facilitate your message strategy journey.